Onions contain a variety of organic sulfur compounds called methionine and cystine and, among other things, they are very good at detoxifying your body from heavy metals. Vitamin C, also contained in onions, is excellent at detoxifying the body and is effective in removing lead, arsenic and cadmium. Onions are also good for your heart since they boost beneficial HDL cholesterol, thin the blood, retard blood clotting, lower cholesterol, triglycerides and blood pressure. Because of the antioxidant organosulfur compounds found in onions they are also recommended for cancer prevention. 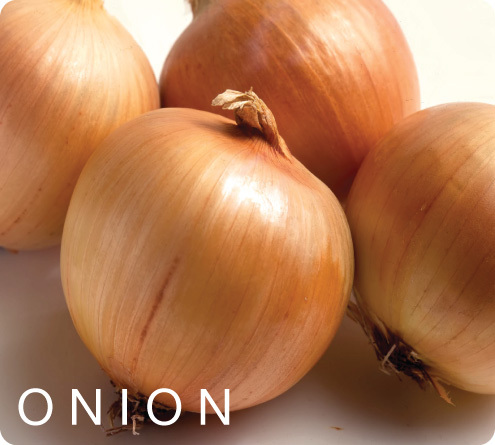 Onions are good for asthma patients as well since it helps relax the bronchial muscle.